[Book Review] What Language Do You Speak? Whether it be business or marriage, the key to any relationship is communication, by mostly using language. Are languages made up of only words? Apart from speaking our native tongues, we speak an emotional love language as well. 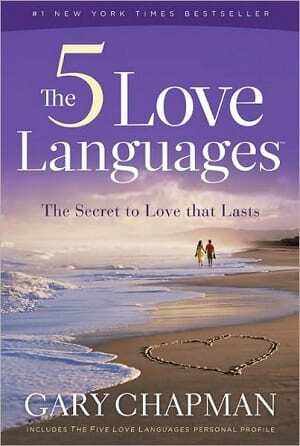 Emotional love languages are the “ways that people speak and understand emotional love” as defined by Gary Chapman in his book The Five Love Languages. This breakthrough concept has redefined how we approach relationships. The difference between men and women has been widely recognized and studied for many years. Chapman takes this difference to another level to prove that the relational gap in any relationship can be bridged by understanding the emotional needs of others. The 189-page book is packed with case studies from which you can glean lessons and put into practice with any relationship, particularly your spouse. It is important to disclaim that this book was written for no particular faith or religion. Love languages are universal and do not just apply to a specific group of people. Although Chapman has other books in the series that focus on children and teenagers, this book focuses on marriage and how to make love last longer. Solving an issue in a relationship starts by understanding the other person’s love language. The author beautifully depicts our hearts as water tanks: When our partner speaks our love language, our tank gets filled with love. When our partner ignores our love language, the tank is empty. By speaking your partner’s language, you are more likely to fill his/her love tank and get through to him/her easily. Tip: Appreciate the little things that your spouse does and catch them off guard! They will remember and reciprocate. That is right! Put that phone away, look at your lovely spouse and listen to him/her attentively. Although, it has become cliché to say that the wives in our society are deprived of quality time, the book demonstrates several cases where men need quality time from their wives. Tip: Go have dinner with your spouse and leave both of your cellphones in the car. Lock the car and have some quality time together! Some of us speak the language of receiving gifts. In other words, when we receive gifts, we feel good about ourselves and hence feel better about our relationship with the gift-giver. Chapman talks about picking up flowers for your spouse on the way home. This can be considered as a nice gesture to show your spouse that you care about him/her, in turn filling up his/her love tank. Tip: Celebrate 1000 days of being together by getting your spouse a small handmade gift. This can simply be a framed photo of you two! In our society, husbands are expected to do the so-called ‘manly’ chores such as fixing the car, assembling IKEA furniture, etc. Chapman reintroduces this by advising the wives to speak their husband’s language to get them to do the chores. Appreciating something your husband did for you is more likely to get him to do it again. One of the wives mentioned in the book says, “Now he knows how to do everything around the house and is always helping me. We have much more time together because I don’t have to work all the time. Believe me, I have learned his language, and I keep his tank full.” Many couples seem to have really benefitted from Champan’s book. Tip: When your spouse has gone out, surprise them by doing one of the chores at home. They will appreciate and reward you! “Babies who are held, hugged and kissed develop a healthier emotional life than those who are left for long periods of time without physical contact.” The power of touch is explained in detail in Chapman’s book. He insists that just a hug can go a long way in a relationship with children and adults alike. Case studies of couples show that physical touch of any sort is a very powerful communicator of showing love. This is a language for both men and women and should not be ignored. Tip: Hug each other for 20 seconds when you both get home at the end of the day. All your stress will be relieved and the rest of day will go by smoothly! This book gives marriage and marital relationships a whole new perspective. The 5 Love Languages: The Secret to Love that Lasts, helps one to understand the unique personality of every individual. Chapman insists that husband and wife find out each other’s love language and communicate in a manner that will fill their so-called love tanks. The book provides the reader with an abundance of little tips on connecting with your other half. With two detailed quizzes at the end of the book, one is sure to get an idea of the language that they speak as well as the language that their spouse speaks. It will fill your tank just enough! Although Chapman covers most of the questions that the reader has, it would have been helpful if he focused more on the increasing divorce rate today and how these languages could help marriages last longer. The book mainly refers to making the current love last. It is not surprising to see that the five languages that Chapman speaks of were already practised by our Prophet Muhammad . Islam in itself is a set of love languages. Islam encourages one to speak politely, spend time with family, exchange gifts, etc. Overall, this book is a great reminder for all couples to work towards a better marriage and relationship. Make sure to visit www.5lovelanguages.com for some great additional advice! Try out Chapman’s tips and share your experience in the Comments section below. Salwa Alavi was brought up in Canada. She attended the University of Toronto where she completed her BA in Human Geography, Math and History of Religion. Salwa currently resides in Texas as a housewife and volunteer at the local masjid. She is also competing her Master in Education from University of Houston. She aspires to own her own business one day.